I saw this bumper sticker the other day, which I thought was a very creative way of advertising the Denver Art Museum. DAM – thats good art! While that is true for the permanent and changing exhibits inside the museum, it also applies to the exterior design of the two separate buildings that make up the Denver Art Museum; the other four public contemporary buildings within the area that constitutes Denver’s Civic Center Cultural Complex; an adjacent public/private mixed use development that complements these functions; and, the public spaces that bring it all together. 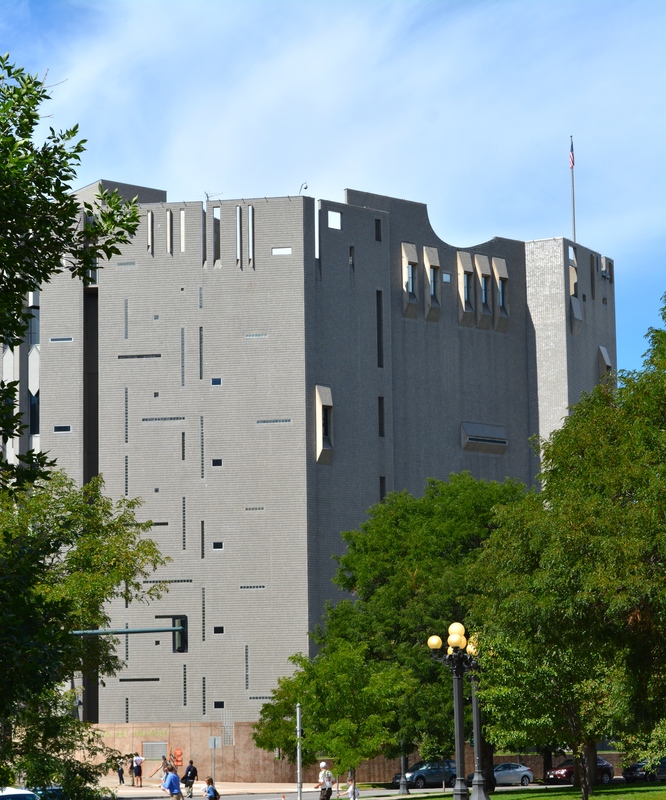 The Denver Art Museum was designed in 1971 by modernist architect Gio Ponti (reportedly one of the most important Italian architects, industrial designers, furniture designers, artists, and publishers of the twentieth century), partnered with the local Denver architectural firm of James Sudler Associates. The unique contemporary structure some have called eccentric has two connected towers clad with more than a million reflective glass tiles that shimmer in the light; with the building’s 28 sides, jaunty crenellations, and myriad slot windows it resembles a medieval fortress. With this 7-story structure, a total of 210,000 square feet of space was made available under one roof for the first time in the museum’s history. Great photos of all the architecture in the Denver Civic Center. I love the sculptures of Willy, Argus and Lucky.